Our DVD covers it all, it took a long time to do this one,there are so many features we had to show, its almost 2 hrs. long, and you won't miss a single feature. The software on this MPC does everything and anything. Its very complicated if your just starting out but if you have a MPC it isn't that bad and as always we make it easy for you when you get out videos it's all there. We start with the setup so get your cables ready as we show you where to plug them in and what each input and output does. 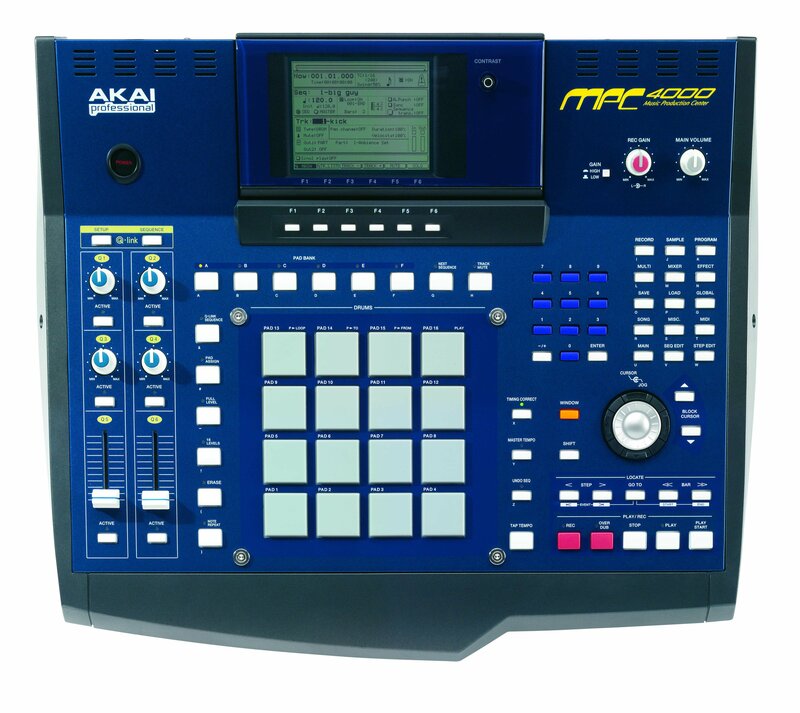 Next we explain each button, knob and slider this will help you understand the MPC4000's software better. You'll learn sampling, sample editing, placing samples in programs, ways to use the program section to manipulate samples and their sound, merging samples chopping samples up in to sections, tuning samples, playing them in a sequence and much much more. Time compression is something that I like to use on a sample to get it to fit perfect with my tracks. You can use it on vocal samples, loops, horn samples and just about anything it keeps the sample the same pitch and allows you to either make it go faster or slower without changing the pitch. The time compression feature that's in the MPC 4000 is excellent and we show you the best way to apply it to your samples. The Edit 1 and Edit 2 section of the MPC4000, are easy to use on any sample, we even filtered out a drum beat that was in a loop and it gave it a whole new flavor. We'll show you all these features so you can use them on your MPC 4000, here is Qlink. I make a sequence, add samples then make another beat to remix it with then I just flip the beats back and forth a great way to remix on your mpc4000. Then I adds midi track we play a keyboard record the midi data and play it back. We even teach you how to save dataThis DVD will teach you how to rock your mpc4000.